Markforged is liberating designers and engineers from the long lead times and high costs of traditional manufacturing. 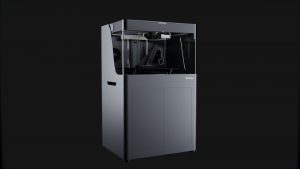 Instead of waiting weeks and paying thousands of dollars for a part, with Markforged you can 3D print incredibly high-performance parts on-premise and in under 24 hours. Print carbon fiber parts that are as strong as aluminum and dramatically lighter. For heat tolerance, print with 17-4 Stainless Steel. For anything else, print with Titanium, Aluminum, Kevlar, or one of their 11 other materials to fit any functional application. NYC CNC, an Ohio-based machine shop and YouTuber of all things CNC recently picked up a Markforged Mark Two, looking to augment their CNC machines by printing tooling, fixtures, and more. Here’s the unboxing and review.